Discussion in 'Expired Listings' started by noxid.nelle, Nov 27, 2014. 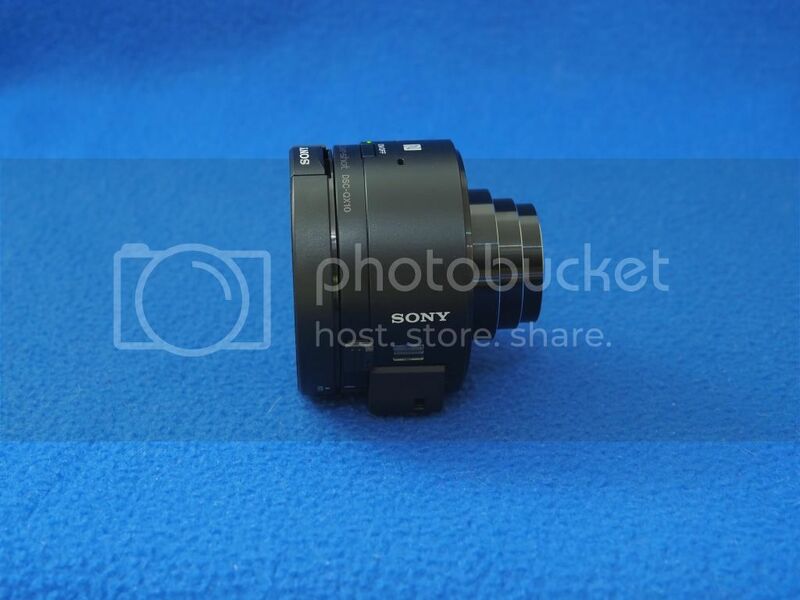 E-M5, E-PM2, HLD-6, 14mm f2.5, FL-36R, Sony QX10 & more! Very good condition, comes boxed with Olympus battery, charger, clip on flash unit and body cap. No noticeable wear or tear although note that it does not have the view finder eye cup. Good condition, includes horizontal and vertical parts of the grip. Very good condition. Comes boxed with Olympus battery, charger and clip on flash. Please note that this item does not come with a body cap. It’s always been kept with a lens on which I will remove immediately prior to packing and I will pack with a spare lens cap to protect the sensor. Very good condition. Comes in a soft Olympus pouch and includes a stand. Great flash which works brilliantly with micro four thirds cameras. It’s the R version so can be triggered remotely by M43 bodies using a clip on flash. I’ve hardly ever used this lens and is in pretty much new condition. It comes with front and rear caps. A bit of a strange one this. It’s a WiFi camera that has no screen. It clamps to pretty much an Android or iPhone and uses the phone screen as a view finder. It has NFC for pairing with Android phones, although I’ve used it perfectly well with an iPhone 6. Comes boxed with a charger. In very good condition. This is a tiny 25mm C mount Cine camera lens. It’s a bit battered, does not have a lens cap of any description and really needs to be used in 1:1 format to avoid vignetting, but it creates some mad swirly bokeh and beats messing around with phone filters. Focus and aperture rings both in full working order. Class 4. Compatible with both the cameras I’m selling and I’ve previously used with Panasonic bodies too. Note that these will only transfer JPG files. You have to buy the top of the range EyeFi card to transfer RAW files. It will happily photograph RAW files, you just need to transfer them the traditional way. I use this with Shuttersnitch on my iPhone. I great combination! Is the E-PM2 still available by any chance?